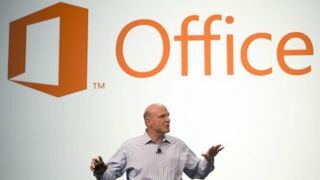 Microsoft has issued a tranche of security updates, with no fewer than 57 bugs reported across Internet Explorer, Microsoft Office, and other programs. But what's more embarrassing for the company is that Google found more than half of the flaws. Google engineers Mateus "j00ru" Jurczyk and Gynvael Coldwind have claimed to have found 32 of the 57 bugs. According to The Verge, Microsoft often credits engineers from the big G with finding flaws, but this month Google outdid itself. Microsoft also came close to its all-time record of 64 bugs in a month. The two have a bit of history with pointing out each other's flaws. Back in 2010, a Google engineer found a serious Windows vulnerability, but gave Microsoft just five days before publishing the full attack code. Understandably annoyed, Microsoft started highlighting flaws it found in Google's software. Last July, Microsoft even claimed to have found a botnet spreading spam and malware through Google's Android operating system, though Google denied it. Microsoft is generally welcoming to bug reports though, with a full acknowledgements section added to every security update. There's no word on why the two Google engineers spent so much time fiddling with Microsoft's software, though Jurczyk is a self-confessed "Windows hacker". Still, nice to do something you love for a living.